A repaired or replaced valve may imitate a healthy, surgically untouched valve. However, it simply is not the same. For your long-term health, you should visit your cardiologist regularly. Have you had a heart valve repaired or replaced? Even if the valve is functioning well, it’s important to make sure you work with your doctor to have it evaluated over time. A repaired or replaced valve may imitate a healthy, surgically untouched valve. However, it simply is not the same. Appointments should include a medical exam and diagnostic studies such as an echocardiogram, which may be repeated at regular intervals. If it’s been a while since you had an echocardiogram, it’s probably a relief to know it’s a painless test. Generally, it takes less than an hour to do. You lie on a table and a technician moves a wand similar in size and shape to a hand-held microphone on your chest. The test allows your doctor to see how your heart and valves are functioning in real time. It shows the size of your heart and the chambers. It also shows the structure and movement of your heart valves as Doppler ultrasound shows blood flow through the valves. Another test you may undergo with your echo is an electrocardiogram (EKG). During the test, the technician will attach soft, sticky electrodes to your chest to record your heart’s electrical activity. After surgery, your heart valve should be long-lasting, however the valve may wear over time. Patients often ask how they would know if their valve is failing? It’s important to be vigilant, not only in seeing your doctor annually but also in paying attention to your symptoms. In addition, you may notice subtle changes in your ability to tolerate physical activity. You may feel more tired or become short of breath when doing activities that you had thought were easy to do. If you experience these symptoms, it’s important to contact your doctor immediately. These are issues that need to be addressed. Tell all your doctors and your dentist that you have heart valve disease. You may want to carry a card with this information. Call your cardiologist if you have symptoms of an infection such as recurring fevers or drenching sweating during sleep. Do not wait a few days until you have a major infection to seek treatment. Colds and flu do not cause endocarditis. But infections, which may have the same symptoms (sore throat, general body aches, and fever) do. To be safe, call your doctor. Take good care of your teeth and gums. See your dentist for regular visits. Always carry your American Heart Association bacterial endocarditis card. Take antibiotics before dental procedures or procedures on the bowel or bladder. Check with your doctor about the type and amount of antibiotics you should take. Plan ahead to find out what steps you must take before the day of your appointment. Overall, it’s important to remember that valve disease is a lifelong concern. 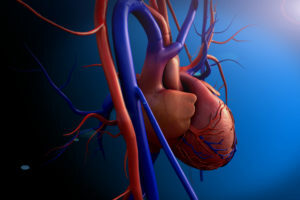 Medications, surgery and other treatments may not permanently cure your heart valve disease. You will always need lifelong medical follow-up to make sure your heart valves work as they should.